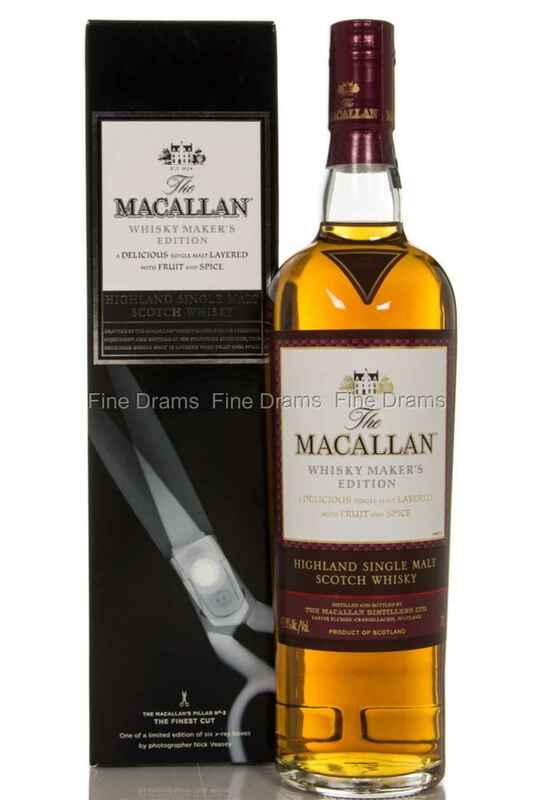 A special edition of Macallan crafted by their Whisky Maker and bottled at his preferred strength of 42.8% ABV. The result is a delicious single malt whisky with plenty of fruit and spice. This Limited edition comes in 6 different boxes, each depicting an x-ray image by the Photographer, Nick Veasey.